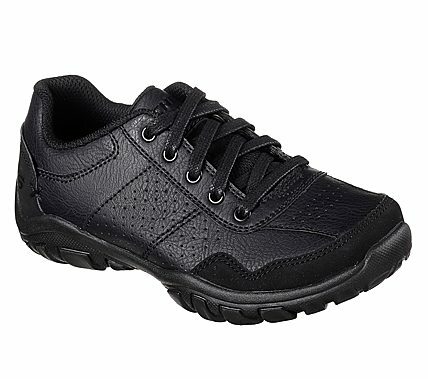 Dressy style he'll actually want to wear comes in the SKECHERS Relaxed Fit®: Grambler II shoe. Smooth faux leather upper in a lace up dress casual comfort oxford with stitching and overlay accents. Gel Infused Memory Foam insole.